In this year’s Danish national final called “Melodi Grand Prix” there were ten finalists in the arena, which was among the favourite host cities in 2014 Herne, Jutland. The show was entertaining as always. In the super final, Anja Nissen could convince the Danish audience with the song “Where I Am”. In the year before she already made the second place with “Never Alone”. So all of Anja’s wishes came true this year to represent Denmark at the Eurovision Song Contest. Actually, Anja Nissen is Australian and having Danish parents. She was born 80 km outside Sydney, Australia in 1995. 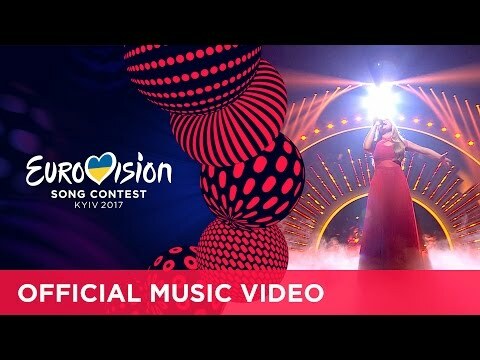 The 21 years old singer has always been fascinated by the ESC idea and could never believe that she is going to represent her parent’s home country at Eurovision. So we are going to have two Australian entries, Australia is going to be represented by the indigenous singer Isaiah with “Don’t come easy”. It will be interesting to see if Australia gives 12 points to Denmark. Unfortunately, Denmark is set in Semi Final 2, while Australia participates in Semi Final 1, if both countries qualify for the Grand Final, the 12 points might go to Denmark. Anja took part at “Australia’s Got Talent” and reached the Semi Final. In 2015 she could win “The Voice Australia”. Beside of the fame she receive AU$ 100.000, a car and a Universal record contract. She has released her first album “Anja Nissen”. The song “Where Am I” is a soft pop song with long notes which is easy to listen to. There are some R’n’B elements and a hysterically sung elements in the chorus. Why do so many ESC singers so often need to scream their guts out? Compared to the entry Anja has sung in the year before, there is less power in this year’s song. The big question: is this enough for the Grand Final? The very first Danish entry in 1957 was called “Skibet Skal Sejle I Nat”and sung by Birthe Wilke and Gustav Winckler. Denmark achieved a fantastic 3rd place immediately. So this year it will be the 46th time for Denmark in the Eurovision Song Contest. There has been a big gap in the participation from 1966 to 1978. Denmark has paused because of a lack of public interest, luckily these days are gone! In all that years, Denmark could reach the Grand Final for 41 times. The "Happy Scandinavian song" has been dominating in the 80's and 90's, which has also been used in Norway and Sweden. Nowadays all Danish entries are being sung in English and the style has changed, there were very contemporary songs in the past years. The statistics say that the chance to reach a Top10 position for Denmark is at 56%, so not too bad. It has often been said that the Danes give all their points to the other Nordic countries and vice versa. But this is a quite natural phenomenon, as the music taste is similar and singers are well known in the neighbour countries.